Our motto is "Do things in Seychelles as thorough as we do for ourselves"
Holidays in Seychelles. Travelling at an affordable price with a personal touch. Air Tickets and Hotel booking in Seychelles at the best prices. Complete and reliable information on hotels and beaches in Seychelles. Excursions, fishing, diving, snorkeling, hiking, helicopter tours, walks by the sea on boats and yachts. We avoid the standard approach, lists of services and attractions that are offered to everybody. 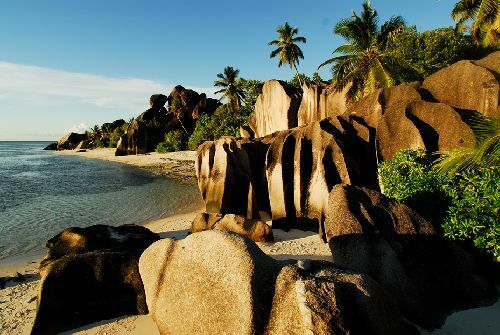 Complete and practical information about Seychelles, news, useful links, legends and facts. Ideal climate all year round, emerald, bright turquoise expanse of the Indian Ocean, white sand, amazing natural world.